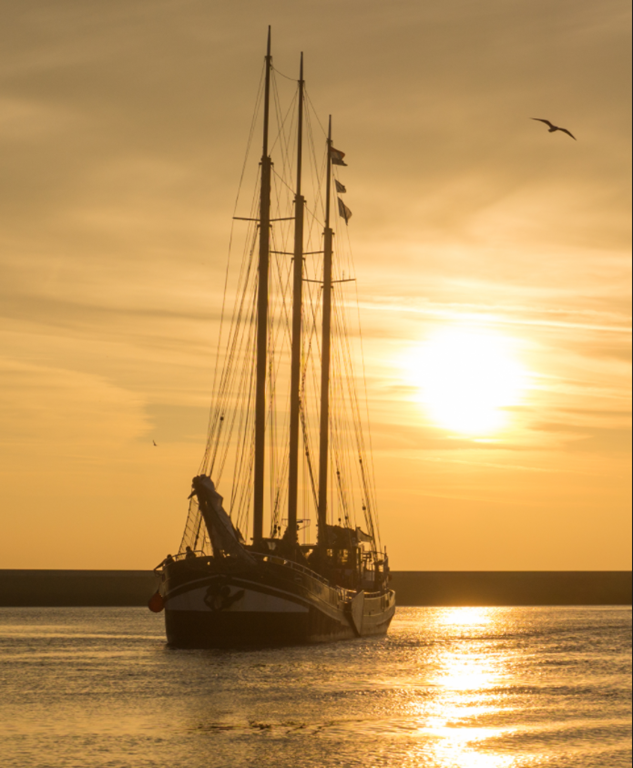 This article lays a foundation for its topic of discussion by starting out with some dry historical and statistical information, but please bear with me; I will then get into la parte importante, the important part: what the MSC family means to me and why I feel like a lifetime member of it after just one sailing on the Seaside. The mainstream American cruise companies – Carnival Corporation (which owns Carnival, Princess, HA L, Cunard, AIDA, Sebourn, P&O, etc. ), Royal Caribbean LTD (which owns Royal Caribbean, Celebrity and Azamara), and Norwegian Cruise Line Holdings LTD – are large corporate entities that are publicly traded and thus owned by and beholden to shareholders. This is yet another way in which MSC is different. MSC Cruises is part of the Mediterranean Shipping Company SA, which is th e world’s second largest container shipping company. The company is now headquartered in Geneva, Switzerland but was founded in Naples, Italy in 1970 by Gianluigi Aponte. Even though it has grown to employ tens of thousands of people and has a net annual income in the billions, it is still a family business with Diego Aponte (son of the founder) at its helm. The following information is based on my research, which was extensive but is still an imperfect method in many ways. If anyone from the MSC family/company is reading this and finds any inaccuracies, please let me know at deb@shinder.net and I’ll correct it immediately. According to online sources, the cruise line was purchased from another cruise operator in 1988 or 1989 and was renamed MSC Cruises in 1995. It’s now the world’s fourth largest cruise line (after CCL, RCL, and NCL) and is the world’s largest that is privately owned. It has been a prominent face on the cruising scene in Europe and South America, and is now expanding rapidly, including into the North American market. According to its own web site, MSC Cruises has grown by 800% since 2004 and now employs 17,000 people. MSC currently has a fleet of 16 cruise ships and expects to have a total of 23 operating by 2026. The Seaside, on which I sailed in February and which I described in detail in what is possibly the longest cruise review ever, is currently MSC’s newest ship. 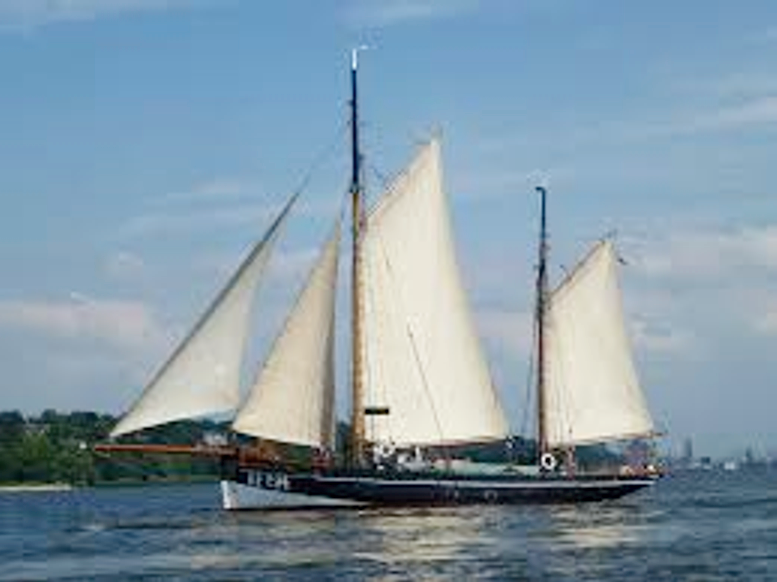 She will soon be joined by her sister ship, the Seaview, slated to launch this coming summer. The Bellissima is scheduled to launch in March 2019, and the Grandiosa will follow her into service in November of that year. In 2022, things are going to get really interesting, with plans for four massive World Class ships that will be built in France and will accommodate up to 6850 passengers each. In a business world that’s dominated today by nameless, faceless corporations, I love that MSC is still in some ways a “mom and pop” operation – albeit a big and successful one. One of the things that I always liked about Carnival was its history. Ted Arison was an Israeli businessman who was an officer in the IDF before moving to the U.S. In an interesting similarity to MSC, he started out in the shipping industry and then moved into cruise lines. Many don’t know that he co-founded Norwegian in 1966 before breaking away to form Carnival. Unlike Carnival, which went public in 1987, fifteen years after being founded by Arison in 1972, MSC remains a private company. On the down side, that means I can’t buy stock in it. I would if I could, because I prefer to invest in companies that I personally like and admire. The Aponte family’s involvement in seafaring matters goes back much farther than Arison’s. According to family records, their maritime involvement goes back to 1675 in Naples. Gianluigi Aponte was a young seaman when he bought his first ship that was the beginning of the Mediterranean Shipping company in 1970; today the company operates more than 450 container shipping vessels. MSC’s first cruise ship was the Monterey, soon followed by the Rhapsody and the Melody. In 2003, the company initiated a $5.5 billion investment to expand its cruise fleet. Another $5.1 billion investment launched in 2014 brought more and bigger ships, and that plan was increased to $9 billion in 2016 with the ambitious intent to build the World class ships. MSC’s modern ships are recognized as some of the most beautiful and most innovative cruise ships in the world. I’ll explore how the Seaside fits that description in a couple of later blog posts to be titled Sun Follower: The ship design and environment and Ship of tomorrow: high tech on the high seas. MSC has some magnificent vessels, but a cruise line is about more than just its ships. It’s the people – the family – that nurtures and grows and sets the tone for a company that is in the business of providing not just a temporary home at sea but an entire experience for approximately 1.8 million passengers in one year (based on the company’s 2016 annual report). And perhaps more than any other cruise line, MSC “gets” that there is not a one-cruise-fits-all solution, and sets out to provide different choices for a diverse range of people with different personalities and preferences. To the customer, a cruise is both a product and a service. Ships happen, but it’s what happens on the ship that determines whether a cruiser comes away singing the cruise line’s praises or blasting negative reviews all over Facebook. It would be foolish to ignore the fact that the Seaside has, in the weeks since her U.S. launch in late December, received a number of negative reviews. I wrote about what I think are the reasons behind that, especially the lack of understanding by many Americans of the cultural differences, in my blog post titled Falling in love (with cruising) again: The MSC difference. I think an important point to note, though, is that even many of the reviews that rated the cruise as “worst ever” conceded that Captain Massa and other officers and crew members were fantastic. I heard similar things from those who sailed on the earlier cruises with Captain Pier Paolo Scala, about him – and in fact, one of the things that first got me excited about cruising on the Seaside was the unprecedented social media engagement of Captain Scala. I was a little disappointed when I learned that Captain Scala would be leaving Seaside before my cruise. How could any other Captain possibly be as personable as Captain Scala obviously is? That disappointment turned to delight when I me t Captain Massa. Both my own personal interactions with him on many occasions over the week and the stories that I heard from other people showed that while he might not be all over Facebook and Instagram like Captain Scala, on board the ship he was a most gracious and charming host who treats everyone on board as a welcome guest in his floating home. On a couple of occasions when I spoke at some length with the Captain and the Yacht Club director, Ivan, the subject of the MSC family came up. They talked about how it really is a family and not just a job for them. Of course in a company this large, it’s likely that not every employee feels that way, but I definitely got that impression from many of them, including my fantastic butler and wonderful waiter. There was a time when I felt much the same way about Carnival. Back when John Heald was a cruise director instead of a “brand ambassador,” he made me feel like a part of the family when I sailed with him. John is as different as night and day from Captain Massa in many ways, but one thing that was the same was the way he would go above and beyond to address any problems or concerns or answer any questions and do all he could to make each passenger’s cruise better. Like Carnival itself, John has changed over the years – or at least his online persona has. Back then, his blog and Facebook posts were more about generating enthusiasm for the joys of cruising and telling silly but mostly funny jokes, and less about bashing other forums and groups and lamenting the unfairness of what people say about him and stereotyping Carnival’s most loyal customers as greedy, selfish snobs. I know that’s harsh, but it’s true. I still like John and I think he has been put into impossible positions by the company and by some of its customers that have left him frustrated – but it’s a change that’s been noticeable to many other people, as well. Carnival uses the hash tag #CarnivalFamily in its marketing but these days, many of those who earned Platinum and Diamond status and who defended Carnival for years are feeling as if we’ve become the black sheep of that family simply by virtue of being around too long. The new babies are getting all the attention, and the Powers That Be (or as John calls them, “the beards”) seem to want to kick us older kids out of the house to make room to build more nurseries. Those who are new to cruising comprise the infamous new demographic market that Carnival is targeting today. That’s okay. 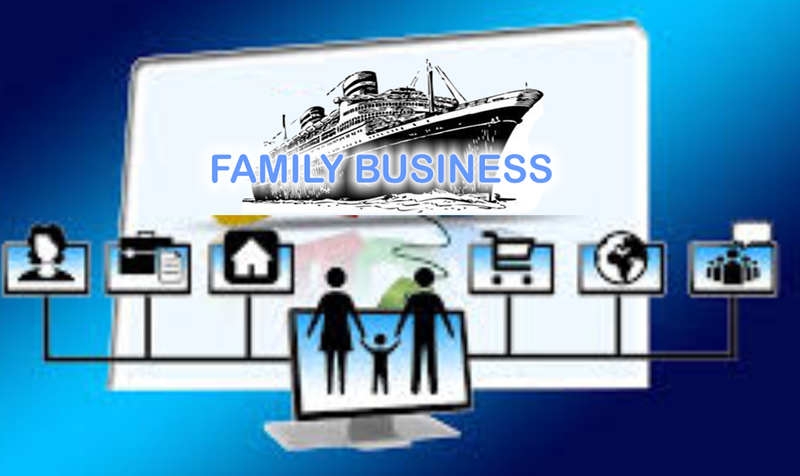 It’s a business decision, and when you have shareholders, you have an obligation to focus on the bottom line and what brings in the most revenue to keep them happy – although in a touch of irony, many of Carnival’s (small) shareholders are also its long-time, avid cruisers. But the non-monetary bottom line is this: Carnival is a corporation first and a family second. Some families stay close-knit forever, but others drift apart. 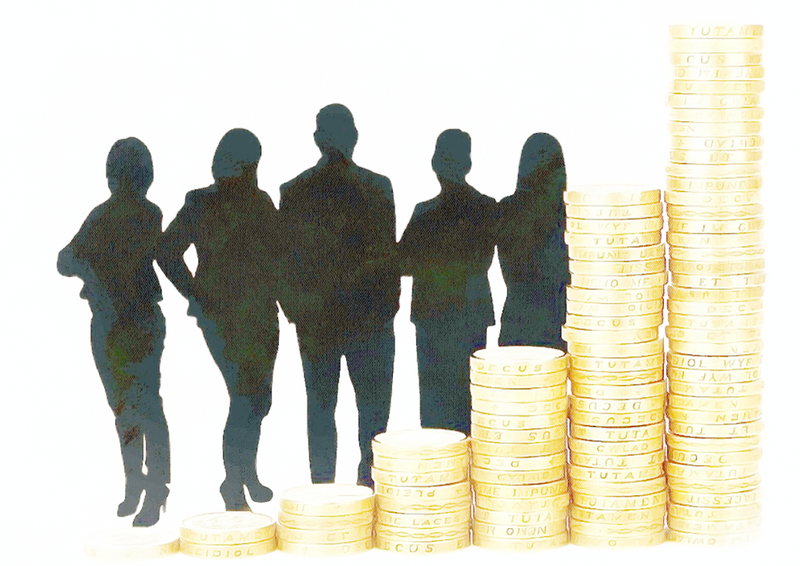 Some family members leave the fold to pursue interests that are different from those of our kin. I remember a comedy skit on the old Carol Burnett Show (yes, I know I’m showing my age here) in which one of the sons had left his lower middle class home to move to New York and become a famous author. He comes back home to visit and his attempts to communicate with family members who live in an entirely different world are hilarious. They all love each other, and they share a history, but he’s not really one of them anymore. That’s sort of how I’m feeling now about Carnival. See, I never was really a typical Carnival cruiser. I always felt a little “different.” I tried to fit in, and don’t misunderstand – I did have fun. But in my heart of hearts, I always knew there was something else out there that was calling to me. As I said (directed at Carnival) in a previous post, it’s not you; it’s me. I’ve gotten older and I’ve changed. I don’t want the same things – in many areas of life, including cruising – that I did even a couple of years ago. I grew up and I settled down and I reevaluated my priorities and I realized that I am no longer the same person I was twenty years, ten years, or even five years ago. I will always love my Carnival brothers and sisters (you know who you are). You’ll always have a part of my heart; you played important roles in my life and I hope, even if we don’t cruise together again, that you’ll continue to do so, that we’ll stay in touch and meet up on land and enjoy each other’s company in a different setting. I dare to also hope that some of you might even come and meet my new adopted family one day, and a few of you might like it so much that you decide to make it your own. 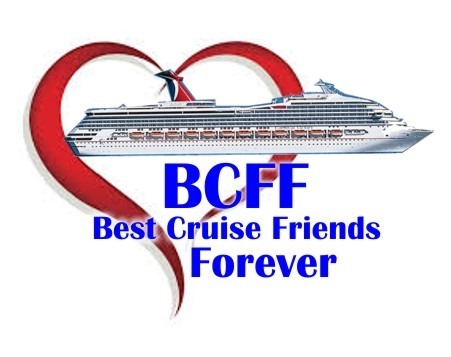 Whether or not some of my Carnival BCFFs join me on future MSC cruises, I won’t feel lonely. Even though my first cruise on Seaside was done as a solo, and even though many of the people I’d originally thought were going to be on that sailing cancelled or rescheduled for various reasons, I never felt isolated. I know that’s partly because, having grown up as an only child, I don’t need constant human interaction. I very much enjoyed the “parallel play” in the Top Sail lounge, sitting by myself with a drink or cup of coffee or a snack, with or without my Surface Pro or smart phone, surrounded by other people who were enjoying the same relaxed atmosphere, gentle piano music, and awesome view of the sea that I was experiencing. Some of them were speaking languages I didn’t understand; far from bothering me, I found that background noise much less distracting than the conversations in English. But although none of them were in the Yacht Club, there were also over a dozen people on the ship whom I’d gotten to know pretty well from the Facebook groups as we interacted online for months before sailaway. I met up with them for lunch and dinner at specialty restaurants, to attend shows, and for pre-planned activities such as our embarkation day gathering in the Seaview Lounge, a cabin crawl on the second sea day, and a “leftover champagne party” at the Miami Beach bar area on the final sea day. Even in the Yacht Club, I wasn’t always alone. I made new friends whom I talked to in the lounge. I got to know my neighbors in the cabin next door and had meals with them several times. Some of the crew/staff became like old friends who greeted me with a smile when I walked into the lounge. Joining sailing-specific Facebook groups or Cruise Critic forums is always a great way to ensure that you know people when you get on board. The general MSC groups and Seaside groups have also been wonderful – both in providing information so I knew what to expect and in getting to know other people who share my growing passion for the cruise line. Unlike my Carnival BCFFs, they don’t need any convincing – they already love MSC and the vast majority of them have wholeheartedly welcomed me into their fold. 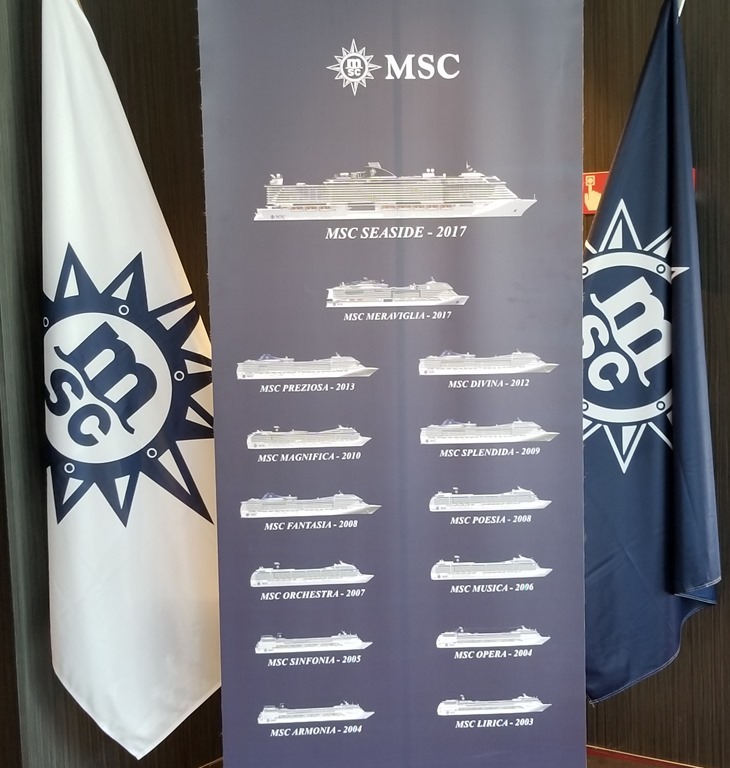 So not only do I have a new cruise family in the form of the company and its employees, I also have a new and expanding family of fellow MSC cruisers – my MSC brothers and sisters (and, with a nod to James B., cousins and uncles). This is in large part due to Christina W., a great TA who has worked hard to become the go-to “MSC specialist.” She and her husband Dan perform the thankless job of managing multiple groups dedicated to various MSC ships and experiences, without which I would have been far less prepared for my first Seaside cruise and the transition from Carnival to MSC. I’m ready to discover new lands – to cruise to places that Carnival can’t take me, both literally in terms of itineraries and figuratively in terms of more upscale experiences. Maybe that will lead me up into the rarefied air of the luxury cruise lines eventually; I don’t know. But I think MSC and specifically its Yacht Club is a big step in the right direction. My cruise on the Seaside felt like “coming home to a place I’d never been before” (with apologies to John Denver). And home is where your family is. I’m proud to be a new member of the #MSCfamily.